Sameh El Dahan of EGY riding Suma's Zorro during the Canadian Utilities Cup at the 2017 Spruce Meadows Continental at Spruce Meadows in Calgary, Alberta. 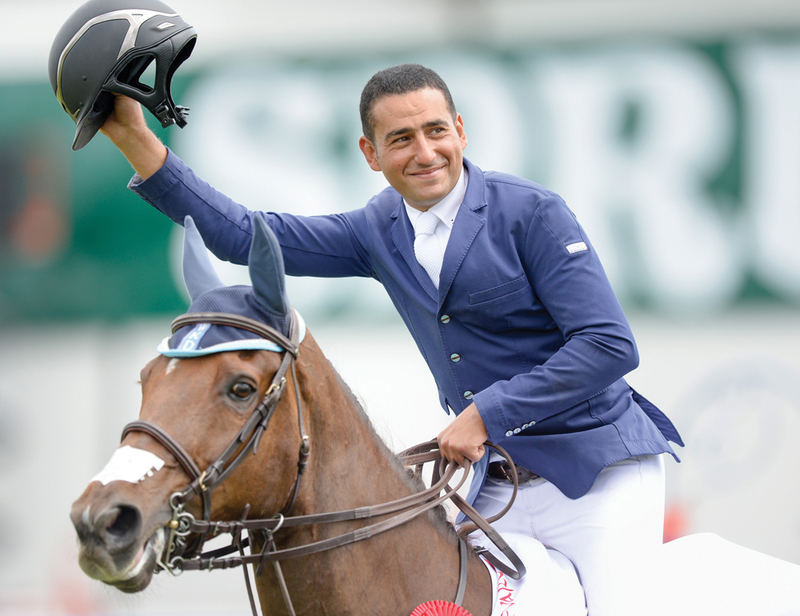 Thirty-four-year-old Sameh El Dahan is one of the top ranked equestrians in the world. He was recently awarded the gold medal for show jumping at the prestigious 2018 Longines Global Champions Tour (LGCT) Grand Prix in Paris and was the winner of the Rolex Grand Slam at Spruce Meadows in Canada. eniGma’s Farida El Sayed caught up with this top Egyptian athlete to discover more about his impressive journey to success and his aspirations for the future. As an impressionable five-year-old, Sameh El Dahan would tag along to watch his older brother take riding lessons. Before long, he was taking lessons himself, and by the tender age of nine was already entering equestrian competitions. El Dahan’s ambitious nature and his strong competitive spirit drove him to seek excellence in his sport and helped him secure several gold medals while still an adolescent. 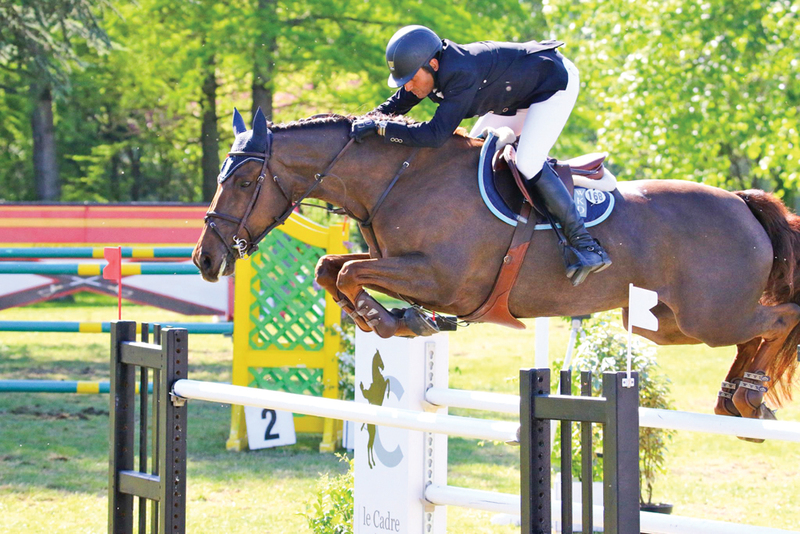 One competition that particularly stood out for him was the Le Touquet show in France, “It was my first international competition” El Dahan recalls, and he was able to win the first day of the three-day competition, at the admirable age of 11 years old. “The thrill of winning competitions at such a young age gives you the incentive to keep going,” says El Dahan. He was also fortunate to have extremely supportive parents who encouraged his passion, allowing him to spend all his summers riding and facilitating his international travels for competitions. Before embarking on his move to Northern Ireland, El Dahan was worried he would feel lonely living abroad. However, the manager of Sycamore Stables, Joanne Sloan Allen, who is also El Dahan’s mentor, was nothing short of extremely welcoming to him. In fact, El Dahan credits her for all his success. “In my sporting career, if it wasn’t for her I wouldn’t be anywhere near where I am today. She’s a great horsewoman and over the past eight years we’ve built a great relationship. Not only is she my business partner, she is my best friend. I give most of the credit for where I am today to her,” says El Dahan. Aside from Suma’s Zorro, there are 18 other horses at the stable where El Dahan lives; thus, leaving him completely occupied day in and day out. “With horses, you are always busy,” El Dahan explains. “As soon as you wake up, you have to be ready straight away in the yard. In the morning, Joanne and I work on a plan for the rest of the day for the horses. Then, from the morning until four or five in the afternoon, I am riding. After that, we work on a plan for the next day, and for the subsequent competitions,” he adds, with the caveat that no two days are alike in the world of show jumping. “The thing is, with horses, there is no rule book that you read and implement. Even if you try to make a plan, things change. You have to be flexible so that you can accommodate that change and not be frustrated by it.” If you get frustrated by change, then this is not the sport for you,” he cautions. Despite his budding business venture, the utterly gracious El Dahan views competitions as the most enjoyable part about the sport. “That’s my thrill really, to compete. When you go to a competition and have a really good show, that is the ultimate excitement for me,” says El Dahan. Even though travelling is another part that excites him, he also finds it quite hectic. “I hate hanging around airports. But when you go into a competition and have a good show, then all that hanging around is worth it. When you don’t do well, then it’s a different story,” El Dahan jokingly adds. Due to the frequent nature of his competitions, you can definitely spot this dapper equestrian at the airport. Luckily, we were able to catch him right before he flew to Spain. 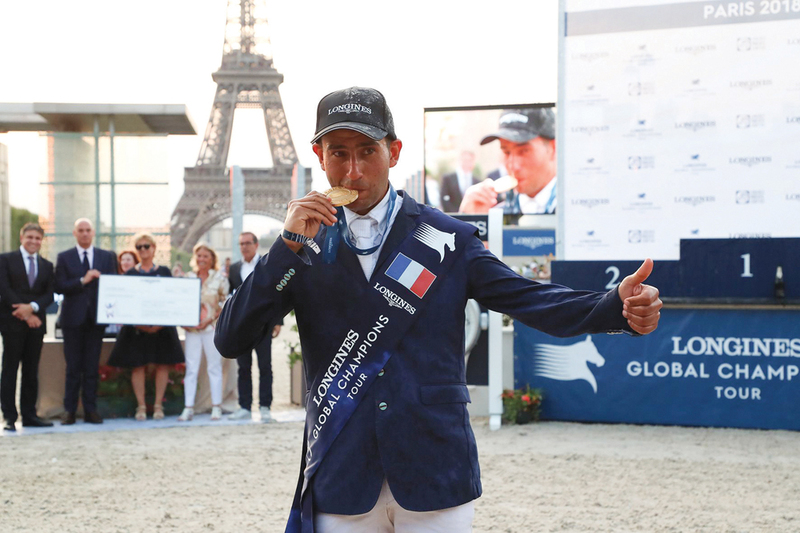 El Dahan credits everyone at Sycamore Stables for his gold medal win at the 2018 LGCT Paris Grand Prix. “It was such a magnificent feeling to win this prestigious award. But there are so many people behind this win, and they deserve to share in the credit and in this indescribable feeling,” he proudly exclaims. 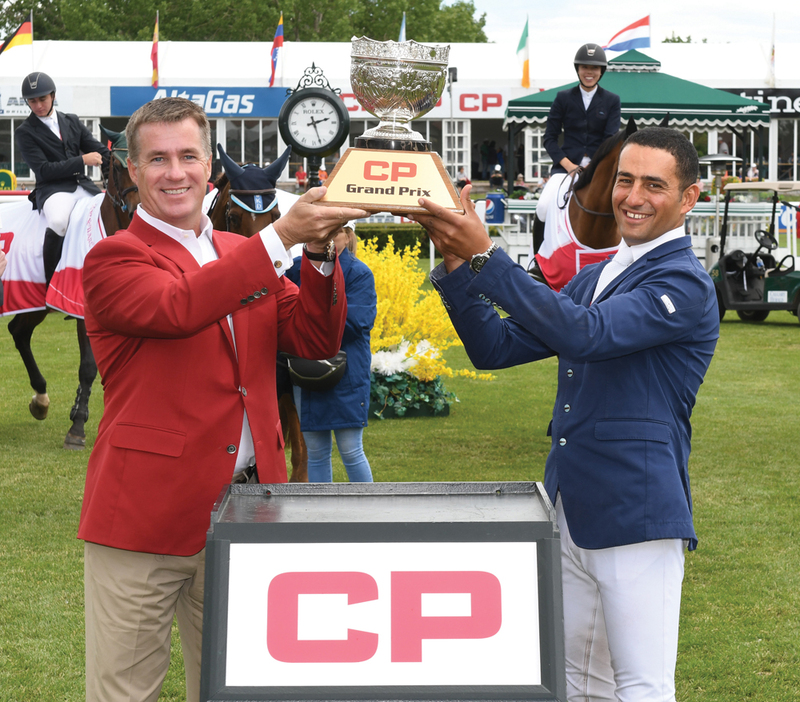 This prestigious award notwithstanding, El Dahan feels that his greatest achievement so far was winning the illustrious Rolex Grand Slam at Spruce Meadows, Canada and securing the impressive prize money of three million Canadian dollars. “Being able to win such a prestigious award and being the first Egyptian ever to win an award of that caliber is such a great honour,” says El Dahan. Sameh El Dahan of EGY riding Suma’s Zorro during the Canadian Utilities Cup at the 2017 Spruce Meadows Continental at Spruce Meadows in Calgary, Alberta. Asked how he mentally prepares for high stakes international competitions, El Dahan says that he controls his jitters by trying to treat all shows the same way, whether he is preparing for a big or a small competition. “I try not to make a big fuss about bigger competitions versus smaller ones,” he says, adding, “I try to be close to God by praying and reading the Quran before every competition. Doing that makes me feel comfortable.” His family’s constant support also helps keep him confident and grounded. “I call my parents on a daily basis. They fully support me in my sport, even though it’s hard for them that I live so far away. But, while my mother, especially, misses me a lot, she feels that my achievements make it all worth it,” says El Dahan. When they do come to visit him, he adds, he takes advantage of every precious minute with them.